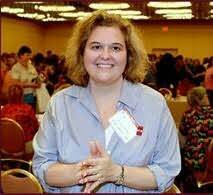 HelenKay Dimon is an award-winning author of more than a dozen novels and novellas. Her first single title, Your Mouth Drives Me Crazy, was excerpted in Cosmopolitan magazine in August '07 and spotlighted at E! Online. She made Cosmopolitan a second time in December 2009 with her novella "It's Hotter At Christmas" from the Kissing Santa Claus anthology. Her books also have been published by Doubleday Book Club and Rhapsody Book Club and translated into several languages.